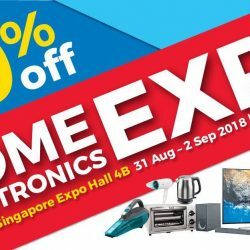 If you miss the last electronics expo sale, don't worry, Megatex Home Electronics Expo is happening this weekend! Enjoy up to 90% off home appliances from most major brands with prices starting from only $9! 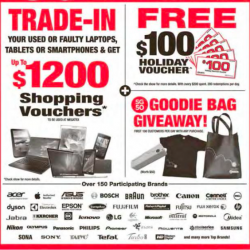 Also receive a FREE mystery Gift with minimum spend of $100, while stocks last. 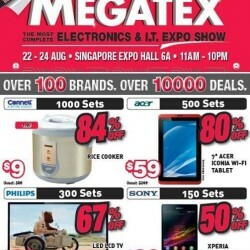 Shop for home appliances and tech gadgets at Tech & Electronics Expo Sale by Megatex this weekend! Enjoy up to 90% off brands like LG, Samsung, Philips, Panasonic, Sony, Nikon, Asus, Acer, Midea, Mayer and more! Present this post at the voucher redemption booth at Singapore Expo Hall 6A from this Friday to Sunday(17 Aug - 19 Aug) and redeem $5 voucher! Limited redemptions only! Don't miss it! Looking for the best deals in town to shop for CNY? 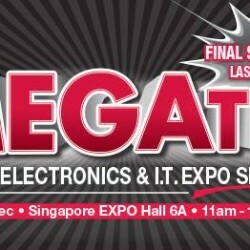 Megatex is back at Singapore Expo Hall 6A from 13 - 15 Jan 2017! 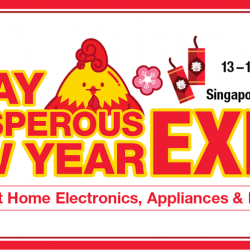 Grab your home appliances and electronics products at the largest Home Electronics, Appliances & IT Expo Fair! You don't have to be good this Christmas to enjoy the best deals at Mega Christmas Expo, the largest electronics & I.T. Expo. You just have to be at Singapore Expo Hall 5B to gift yourself the greatest deals this festive season! 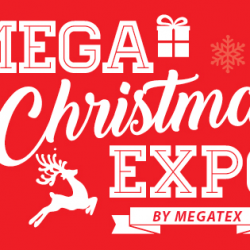 Mega Christmas Expo will be at Singapore Expo Hall 5B from 16 - 20 Dec 2016. Get a $20 e-voucher for this event now! Coming to you this 18th till 27th December 2015, it's Megatex 2015! With over 80 Top Participating Brands up to 90% off! Its the Final Clearance Show of the Year!! 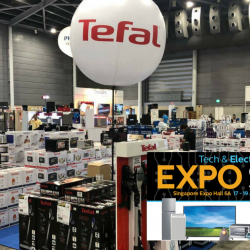 Singapore Expo Hall 6A, 11am to 10pm. Megatex will be having the electronics & i.t. expo show 2014 at expo hall 6A from 22-24 Aug. 2014! Don't miss these crazy deals!